Image: “Cinderella Doesn’t Live Here Anymore” by Barbara Graff. 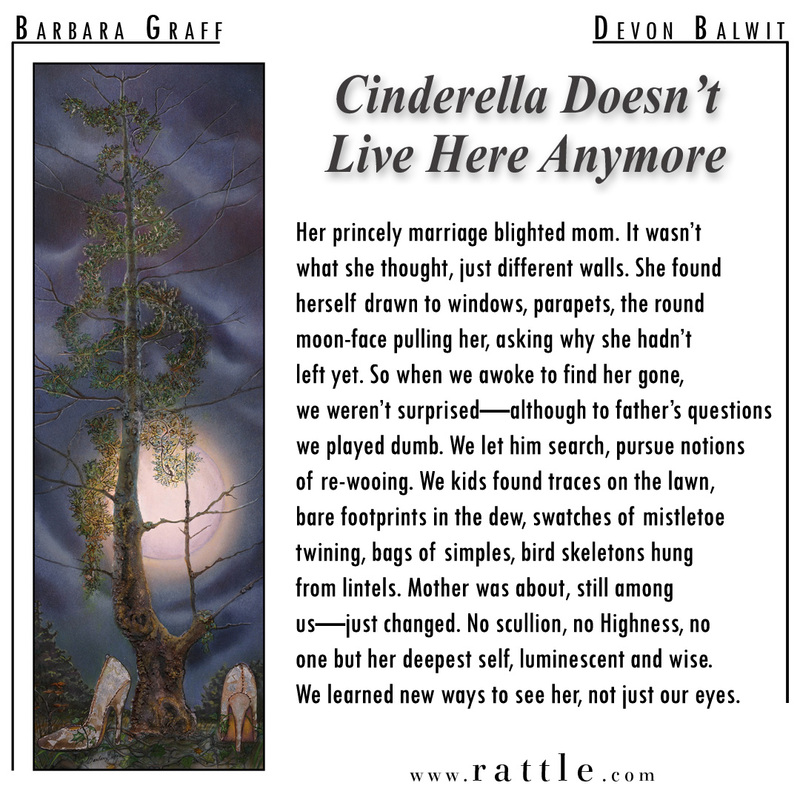 “Cinderella Doesn’t Live Here Anymore” was written by Devon Balwit for Rattle’s Ekphrastic Challenge, December 2017, and selected as the Artist’s Choice. one but her deepest self, luminescent and wise. We learned new ways to see her, not just our eyes.